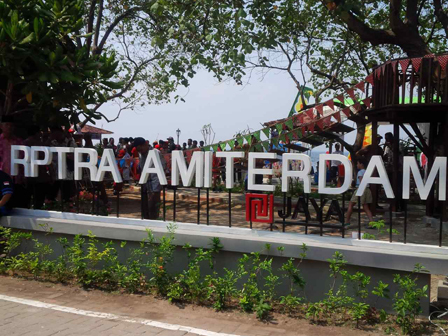 " Free wifi in Amiterdam RPTRA is nonstop"
Free wifi facility that is located in the Amiterdam Children-Friendly Integrated Public Space (RPTRA), Untung Jawa Island, can be enjoyed over 24 hours. "Free wifi in Amiterdam RPTRA is non stop. We just turn off other wifi in front of urban village and dept offices over citizen request at 6-8 PM. Because every study hours, many children use the wifi," said Head of Untung Jawa Island, Badri Yosi, Tuesday (5/3). He added children can use it during study hours maximally. "Similar policy is also applied in Panggang Island Urban Village," he closed.